Visit Metro Fun Center, Home of Atlanta’s Best Roller Skating Rink! What if we told you that you could stick to your plan to lose weight and get healthy this year — and have fun at the same time? 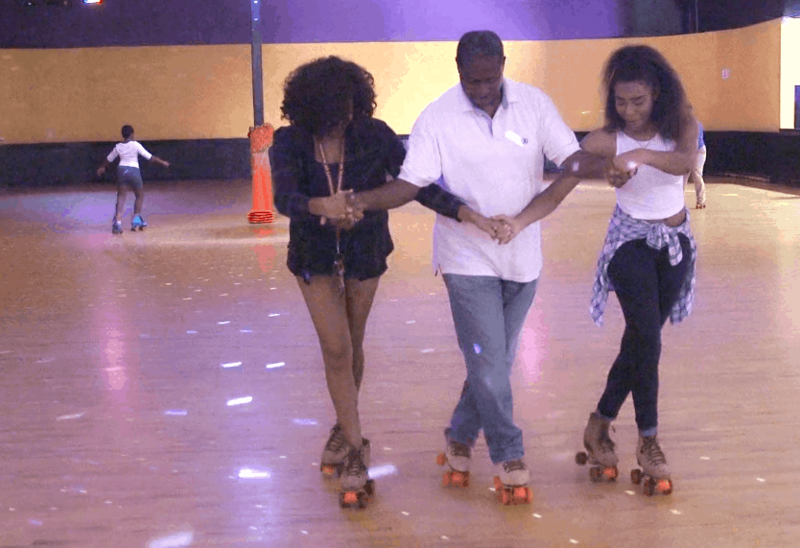 When you roller skate at Metro Fun Center, you can do just that! Build your endurance and muscle tone while burning calories — all while doing something fun. Sure, we can all go to the gym and do the same routine day in and day out, but why not have a little fun while you get in shape. Open nightly with admission as low as $5 and skate rentals for $4, come on by Metro Fun Center in Atlanta for a great skating workout. If you’ve ever been on a pair of roller skates, you know firsthand it is quite the workout. But did you know just how healthy you are getting on those skates? Skating, like running and walking, is a cardiovascular activity. Roller skating, unlike running and walking, is also fun! Roller skating allows you to burn calories, letting you get rid of those few extra pounds you’re always trying to shed. Come put the fun in skating at Metro Fun Center and get started on a happier and healthier lifestyle. Getting that slim belly isn’t the only health benefit from skating. You’re using those legs non-stop, and that will help you tighten and tone muscles in your legs, stomach, and glutes. While you’re starting to look good, you’ll notice you’re feeling good, building endurance to go longer, and when you’re doing a physical activity you enjoy, you reduce your stress levels. Roller skating has also been shown to lower the risk of heart problems, diabetes, and future injury. Not bad for a day of fun at Metro Fun Center, is it? So, let’s get to it! Metro Fun Center has options for you to fit a few days of roller skating into your busy schedule. We’re here Monday through Wednesday from 6:00 pm to 10:00 pm, Fridays from 5:00 pm to midnight, all day Saturday from 1:00 pm to 2:00 am, and Sundays from 3:00 pm to 10:00 pm. What’s more is that there is fun for the whole family. Bring the kids for some bowling or video games while you get back in shape roller skating. With something for everyone, Metro Fun Center is your place for a happier and healthier life. There are endless benefits to roller skating —weight loss, building muscle tone, living a stress-free, happy life — but most importantly, it’s fun! With affordable pricing on parties or solo trips, plenty of entertainment for the entire family, and different hours for you to plan a “workout” schedule, Metro Fun Center is here to help you get rolling on your way to a healthier life. Come in today!